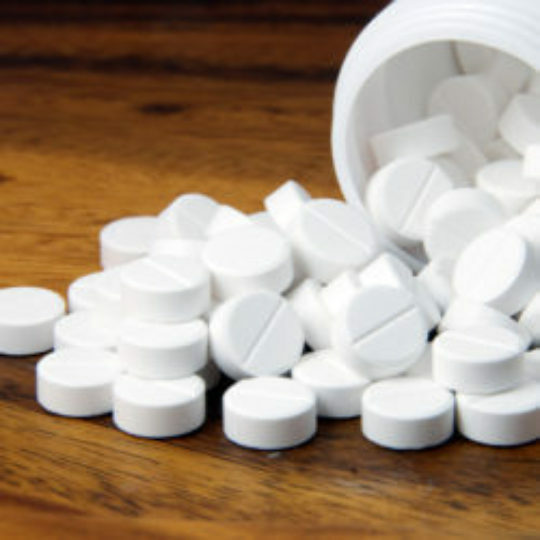 Ibuprofen is a non-steroidal anti-inflammatory drug (NSAID) used to reduce pain, fever, and inflammation. Inflammation is the body’s protective response to irritation or injury and is characterized by redness, warmth, swelling, and pain. Ibuprofen is available in capsules, suspension, and tablets. Your health care provider may have special instructions on the proper dose for your medical condition; he or she will tell you how much to take at each dose. Before you take ibuprofen, tell your health care provider about any other prescription and non-prescription (over-the-counter) medications, herbal, dietary, and vitamin products you are taking, and especially other pain-relieving medications or medications containing aspirin. Before you take ibuprofen, tell your health care provider if you have asthma; liver, heart, or kidney disease; high blood pressure; stomach problems, or any other gastrointestinal disease. Do not take ibuprofen if you are allergic to aspirin. Do not take more of this medication than is recommended on the package label or by your health care provider. Do not use ibuprofen continuously for more than 3 days for fever or 10 days for pain relief without consulting your health care provider. Ibuprofen is intended for short-term use only. Long-term use should be closely monitored to avoid harmful side-effects. Take this medicine with food and a glass of water or milk to prevent stomach upset. Do not drink alcoholic beverages while taking this medication. Alcohol can interfere with the effectiveness of this medication and can cause harmful side effects. Possible side effects include, heartburn, dizziness, nausea or vomiting, stomach pain, gas, constipation or diarrhea. Take with food to help prevent stomach upset. WARNING: Notify your doctor if you experience bloody vomit, bloody diarrhea, black tarry stools, ringing in the ears, or swelling of the hands, feet, ankles or lower legs. Keep ibuprofen in its original container, with the lid tightly closed. Store ibuprofen at room temperature, away from heat and light.